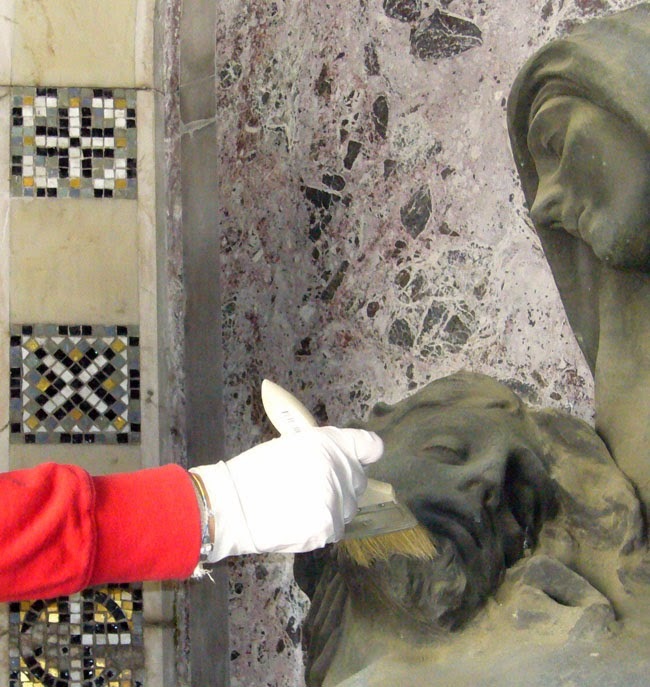 It is stated that ordinary maintenance is the only means we have to assure the conservation of our artistic heritage. This has been known for a long time, and still has its supporters today, but it is often difficult to put into practice although it should be effected constantly in order to be effective and attain the objective of keeping to a minimum more drastic interventions of restoration. Picking up on the agreement recently signed with the Istituzione Bologna Musei | Museo civico del Risorgimento, the Associazione Amici della Certosa is launching a project called "Il volontariato al servizio del patrimonio culturale della Certosa" (“Volunteers at the service of the Certosa’s cultural heritage”): three meetings for study and two practical experiences that will see four volunteers involved in simple cleaning operations of the Certosa’s monuments. 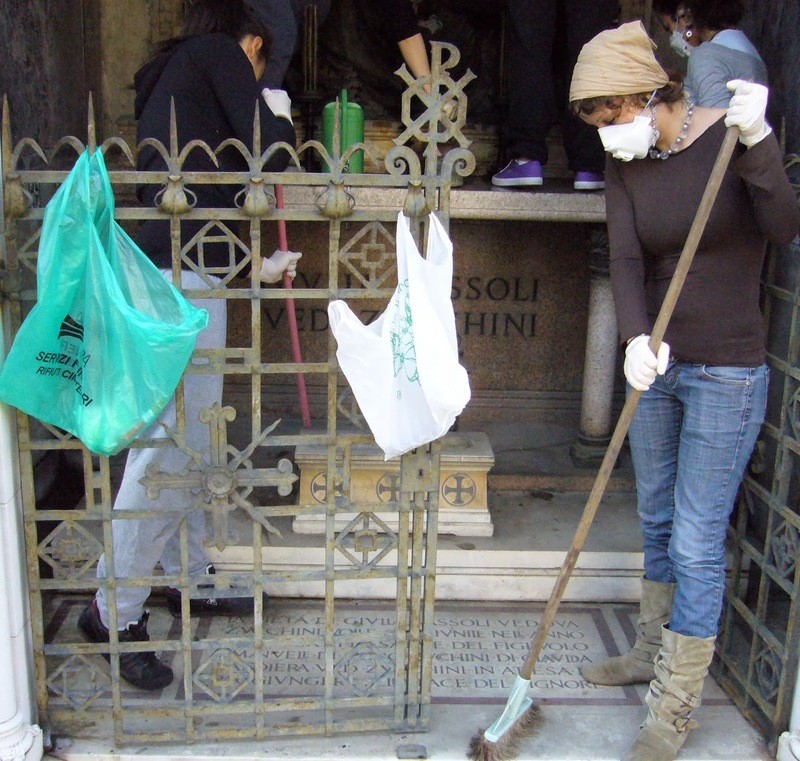 Two restorers, Lucia Vanghi and Valentina Begliossi, will train willing members of the Associazione Amici della Certosa for 2014. The participants trained in this way will undertake some simple cleaning and dusting of works selected by the Museo civico del Risorgimento, in accordance with the Soprintendenza per i beni architettonici, paesaggistici delle province di Bologna Modena e Reggio Emilia - Commissione Artistica and Bologna Servizi Cimiteriali. The preparatory meetings at the Museo del Risorgimento are also open to non-members to give all the opportunity of acquiring information and a grounding in the conservation of cultural assets. The meetings will take place on Thursday 6th, 13th and 23rd February (Museo civico del Risorgimento - Piazza Carducci 5, Bologna) and Saturday 1st and Sunday 16th March (Certosa di Bologna - via della Certosa 18, Bologna).